That is a true feat of engineering victor. incredible. Suggest that it is really too good to be used on the road. This was answered at lenght in a previous installment. Just in short it will be lightly blasted, primered, painted in two pack paint and all the internal cavities flooded in fish oil. Absolutely amazing. This forum regularly throws up some examples of real ingenuity that inspire lesser mortals such as myself. But this takes it to another level. Stunning and a credit to you. Looking forward to hearing about the testing and set-up stage once back on the road. I will move away from the chassis for now and report on the engine that will power this car. This car was still fitted with the original 2.5 litre engine and gearbox when I acquired it some years ago. On the long journey home from Adelaide water started blowing out of the right side tailpipe due to a leaking head gasket and it got worse the more we travelled. This was not of great concern to me at the time (long as it got me home) as I already had plans for a performance engine build. Early into the project I stripped the engine down to assess its condition, and upon inspection concluded that it was not repairable due to massive water jacket corrosion in block and heads. 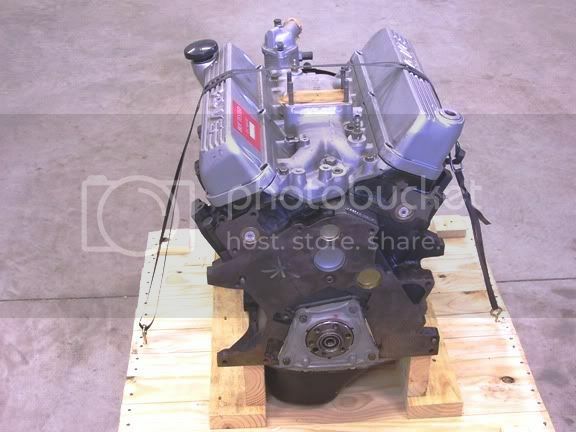 I then started searching for another engine to rebuild and soon found a 3 litre which I purchased. Upon dismantling this engine, I found that it too, was not fit for rebuilding as it had overheated drastically at some stage and the pistons and bores where badly gouged and the bores already oversize. I then purchased another 3 litre and would you believe this one was also no good as it had worn bores and was already .060” O/S. Now I was becoming very concerned, as these engines are scarce in Australia and I could not find any others at the time. The only Essex V6 sold here was in the MK1 Capri (round port), we never got the D port or the Cologne here. These Capris are now over 40 years old, and the few engines still around are now much worn. 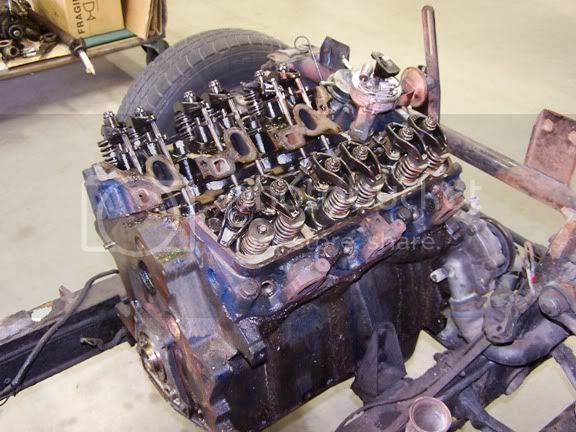 Obtaining a decent Essex core to rebuild was becoming a real issue, and as much as I wanted use the correct Ford engine, necessity started me contemplating doing an engine conversion. I researched many different types of engines, 4-6-8 cylinder engines and Rotaries, but in the end I concluded that this is not what I want, as without an Essex it would not be the car I set out to build. 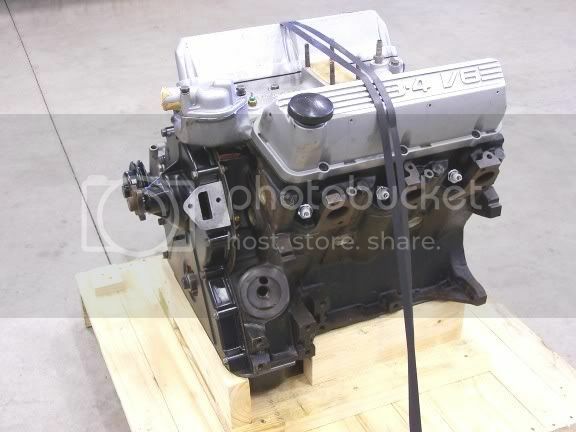 Then around this time I come across brand new South African built 3.4L Essex engines for sale on EBay. The prospect of a brand new Essex appealed to me greatly, and I quickly made contact with the UK vendor selling these engines requesting more information. I then made mention of these engines to other Essex enthusiasts around here, and to cut a long story short, we bulk purchased 7 engines between us and I had them shipped to Australia. 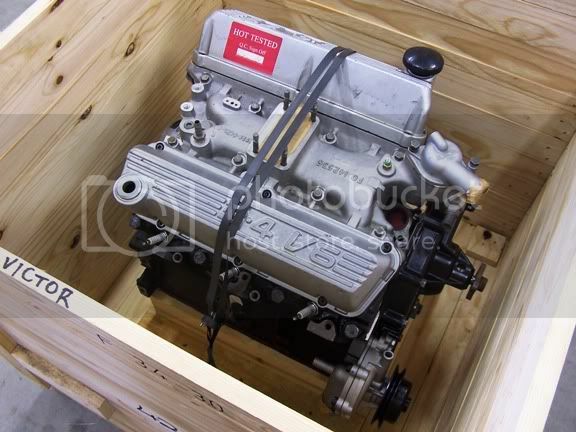 After much waiting, they finally arrived in their original Ford timber boxes, and it was pure joy to open up each box and see a brand new Essex long engine in all its glory. 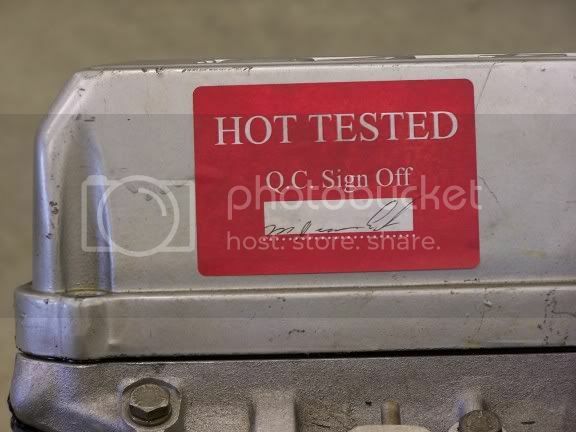 A sticker is attached to the alloy rocker covers claiming they had been hot run tested and signed off as OK. These long engines are complete from intake manifold to sump, but without carburettor, flywheel, harmonic balancer and most other external hardware. Fortunately the 2.5 and 3 litre flywheel and harmonic balancer will fit these engines, but a rebalancing of the complete reciprocating assembly is required due to the external balancing counterweights on flywheel and balancer. The rebalancing necessitates a total engine strip down to access all parts, including removing pistons from conrods. This did not concern me, as I wanted to strip this engine down anyway to carry out some tuning and blueprint. Upon dismantling this engine my joy very quickly turned to horror, as inspection revealed many flaws and problems with this new engine, and I was absolutely horrified as to the overall bad state of most components and how rough it had been assembled. Badly scored rockers and rocker shafts (yes these engines have rocker shafts) due to oil never reaching the rocker gear during hot run testing. Rocker posts deformed due to over tightening. Cylinder bores are .020” oversize. Connecting rod bolt heads rounded off. Main bearing tunnel bores diameter not within specs. Rear portion of block had been welded. Valve springs on the verge of coil bind. The list of problems is very long and I will not bore you with it all. I was truly gutted upon these findings. I had paid for and expected a brand new engine devoid of any flaws or problems, and instead ended up with this live grenade. At best this new engine was made up of reject parts, the machining of all surfaces very poor and the assembly process atrocious. This engine would not have lasted a run around the block without a major failure. I let the UK seller know of my findings; but he could not care less and totally ignored me. He did not return any of my repeated phone calls or respond to my emails. The fact that I had purchased 7 engines from him did not account for much apparently, so I was stuck with it. This engine had already cost me a lot of money and effort to obtain, and in its present state was only fit to be used as a doorstop. I had become very disheartened by this stage; this was the fourth engine I had pulled apart, and still no closer to finding a decent core to build. This project was at a very low point by then, so much so that I lost interest, counted my losses and stopped working on it. Some time later I started thinking about this engine again with a clearer mind, and concluded that even though there are several problems it was not beyond saving, although it will consume far more work and money to make it right. On the plus side; the 3.4L engine has some benefits over the old 3 litre from a performance viewpoint, possibly making it worth persevering with under these circumstances. Larger capacity (needless to say). The crank pin journals are .250” smaller in diameter, resulting in lower bearing speed, a big plus at higher RPM. The forged 2.8 - 2.9 Cologne V6 connecting rods used in these engines weigh much less. The German made pistons used weigh considerably less, and have Moly coating on skirts. The camshaft has more aggressive timing. D port heads with larger exhaust valves. There are also unique differences compared to the 3 litre. Totally redesigned rocker gear featuring shaft mounted rockers rather than fulcrum rockers. I have yet to understand why Ford SA made this drastic alteration to the rocker gear which necessitated a major redesign of the cylinder head, with no obvious advantage. The rocker arms and rocker posts used are from a 2.8 – 2.9 Cologne, but the rocker shafts are unique. An oil gallery is cast into centre of each cylinder head to feed oil to the rocker gear (there is also corresponding oil gallery holes in engine block). The pushrods are solid with no oiling hole. The exhaust manifold bolt pattern is different. The rocker cover bolt hole located at top - centre is in a different location, necessitating unique rocker covers. The intake manifold features larger better flowing runners, but distribution is still awful. Eventually I concluded that under these circumstances my only option was to repair this engine and carry on with the build as originally planned. I will also be carrying out some tuning and modifications along the way, so stay tuned. Performance building this boat anchor. There was a tale of another 3.4 engine over here which sounds like it needed similar remedial work; maybe these were rebuilt "seconds"? Did the 54 degree GM V6 not find its way over there, or did you not want to go for something with injection? Very much a disappointment but i'm sure you'll turn it into a real gem, Victor! Victor, with your attention to detail I can't wait to hear what you have turned this door stop into. philhoward wrote: There was a tale of another 3.4 engine over here which sounds like it needed similar remedial work; maybe these were rebuilt "seconds"? Did the 54 degree GM V6 not find its way over there, or did you not want to go for something with injection? 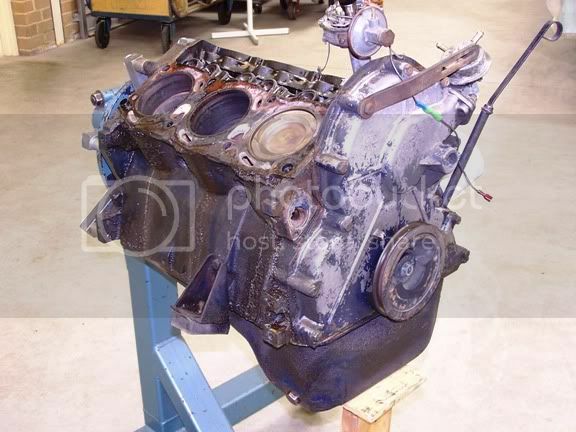 This engine was made up from mostly new reject parts and I am at a loss as to how it got past Ford Quality Control and then sold on to the public. These engines where made as a spare part replacement engine for the South African Ford Courier 4WD Backie (pick up) in which these engines where used right up to around mid 90's. I am determined to use an Essex in this car, although it will have some unique features including EFI. Get a uk-based lawyer to sue the supplier. Its a very straightforward case of goods not being fit for purpose and can probably be pursued inexpensively through small claims process of County Court. Any solicitor can deal with stuff like this, most people would represent themselves as legal costs arent recoverable in CC. You might get a long way with correctly written threatening letters, but I doubt it, so many suppliers of rubbish dont give a toss. The best way to proceed may be to sue the owner of the businness at his home address as there is a good chance that he wont pay up, you will have to instruct court bailiffs (cheap and easy), they will find nothing worth taking at his business premises; if bailifs go to his house they will find a lot of very expensive goods, telly, cars etc. Its worth having someone local check him out first. Yes I did this when I was knocked off my bicycle and the vans owner ignored my phone calls and letters, I received attempts to scare me off from her insurers solicitors (whoohoo) but they didnt show up in court. Also, talk to UK Trading standards department, in the area where the supplier is based - they deal with stuff like this all the time and can advise your rights. They are unlikely to act on your behalf though. I bet there is someone on the forum who has been through stuff like this, or is legally qualified, or can recommend a brief. can ford be of any assistance. after all still being sold with their packing cases etc. I have been on the receiving end of duff goods from ebay but have pursued the seller to the extent of finding their personal address and phoning them and their partners repeatedly. got a complete refund... and they were 400 miles away so i couldn't visit them. That's dreadful Mermar, and not the first time I've heard of those SA engines being rubbish. Slater and Gordon are an Aus solicitor with a UK wing, you coulsd try them?